I've been a fool. CROCHETING FOOL, that is. Cowl: donezo. Afghan: blehhh. It's taking forever, but I love it. Slippers: I just keep going. 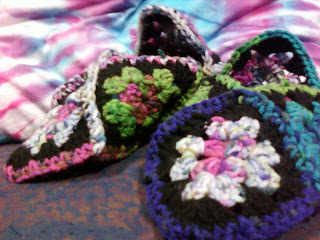 I can't stop making slippers. They're so quick, easy, and above all else, CUTE. 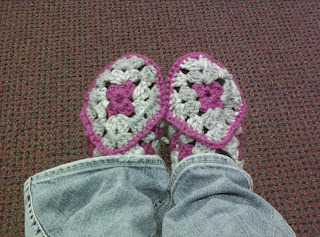 Just 12 (or 14) granny squares, some single crochets, and some chilly feet for them to cover -- that's seriously it. Once I drop out of college, or fail out, whichever comes first, I will make my living off of the manufacturing and retail of granny square slippers. Maybe if you play your cards right, you'll get a pair of them. Just shoot me an email or something and I'll get them to you. These were made for my friend Kent. 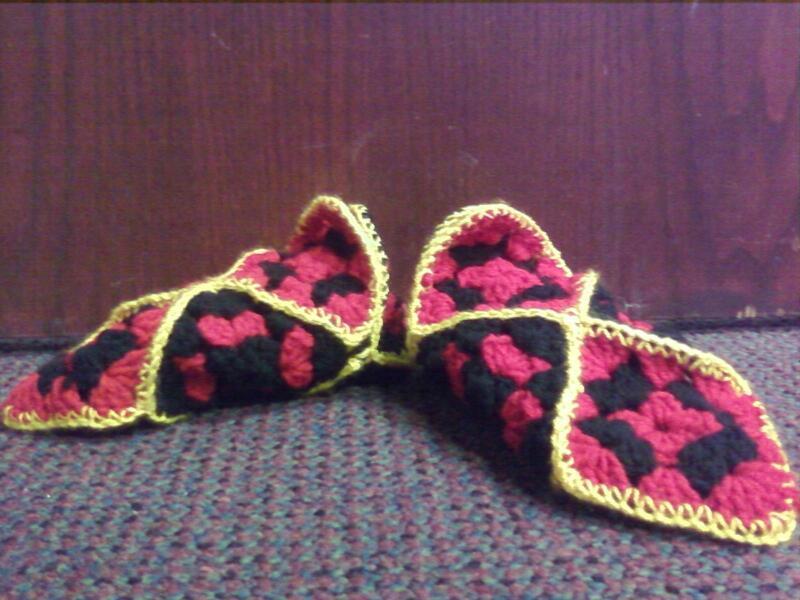 Made these for my grandma while she's in the hospital. All the nurses are peanut butter and jealous. Made these for A-Rose. They'll be on their way soon! But really, if you want a pair of these bad boys, let me know. 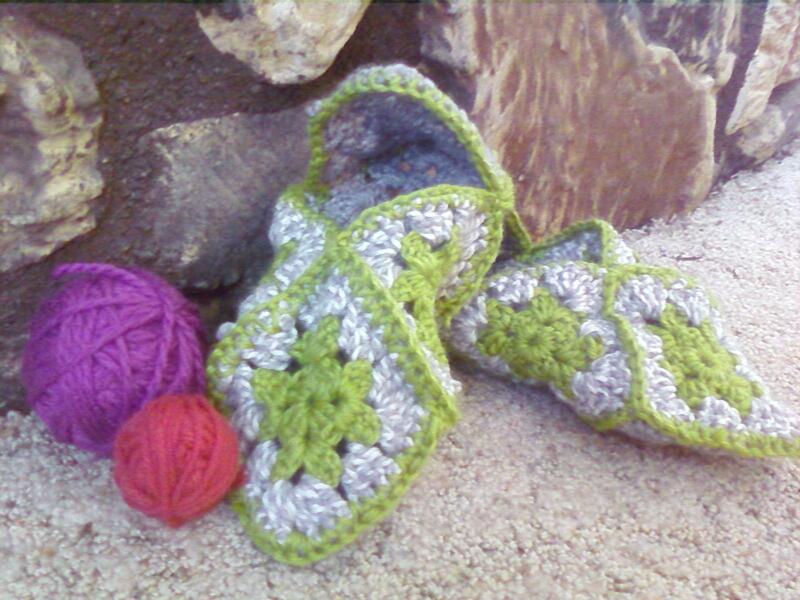 I love making slippers. And I'm proud of my work. (: Well, that's all. Hope you have a stupendous Thursday. Stay frosty, kids.